Shipping containers are used in many different ways. For sure, you have seen container homes which are a very good way to reused shipping containers. But did you know that it can also be used for swimming pools? Yes, that’s right! 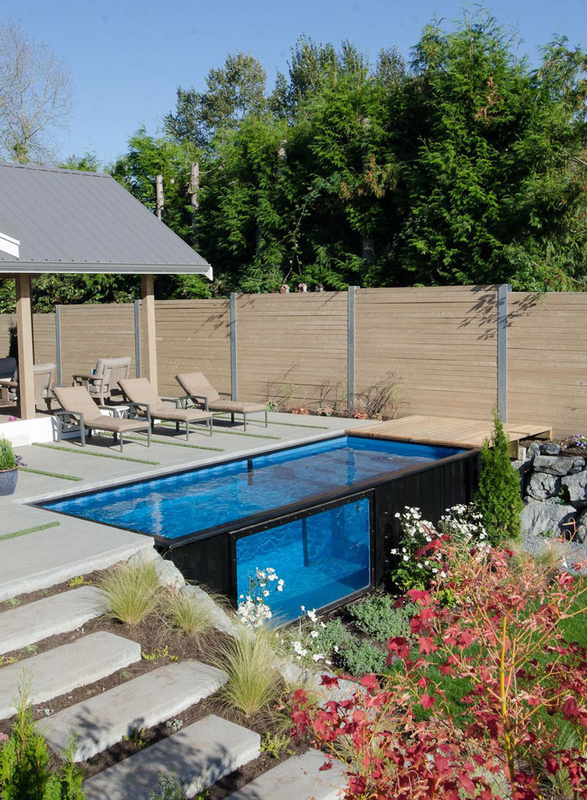 Shipping containers can actually be transformed into pools for your home. Apart from being unique, it also has many impressive features. 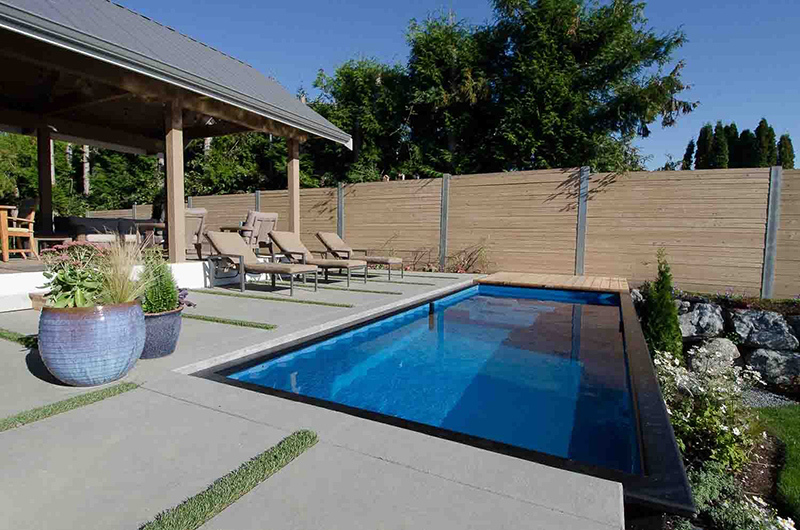 What we will feature today is the innovative pool design from Modpools. 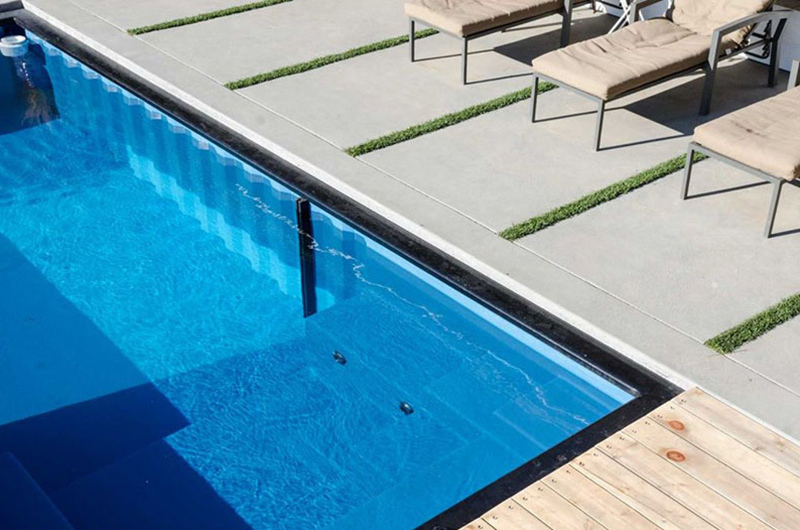 They design modular pools which are configured to suit the one’s need. Their pools utilize the structural rigidity of a modified shipping container in order to provide users with a relocatable hot pool. It is also very easy to set up. 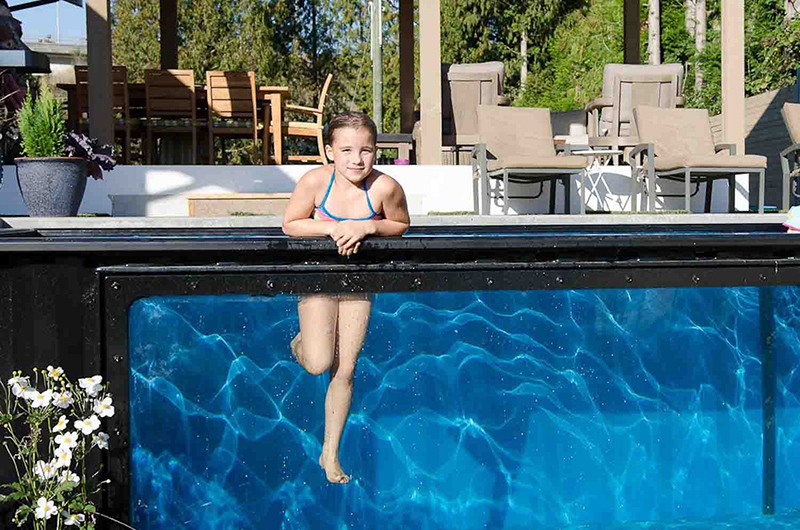 It only takes minutes to install it and the family can already enjoy its cool waters. 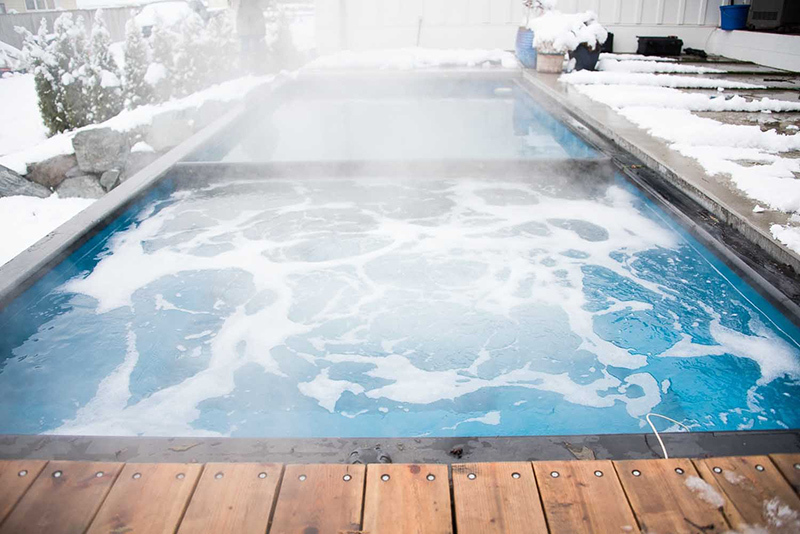 When it’s winter time, you can increase the water’s temperature at 30°c/hour in -10°c weather. Unique feature: A swimming pool that is made from shipping containers which also has many impressive features. 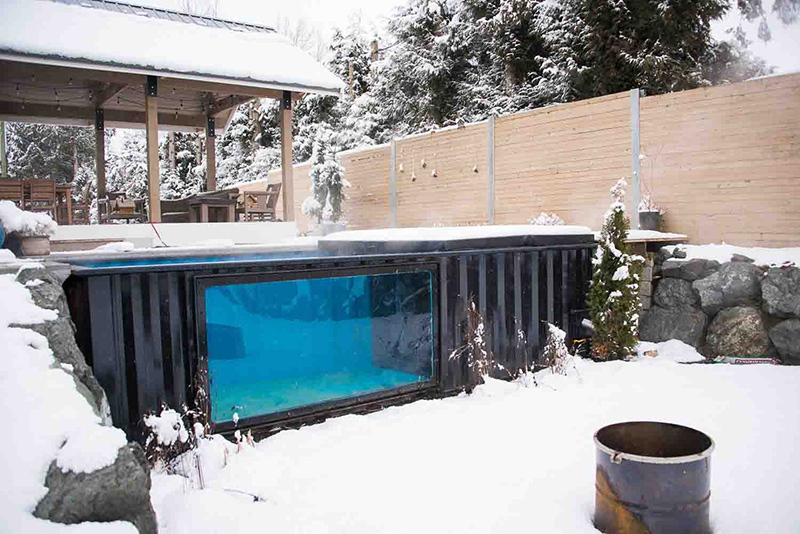 Normally used to ship goods, Vancouver-based company transformed the shipping containers into modern swimming pools. It comes with a window providing a transparent portion of the pool. This is how the top of the pool looks like. For this home, it has a pool house beside it where family and friends can enjoy a meal. Below the pool, you can see rocks and plants that comprise its landscaping. Another look at the top portion of the pool which gives us a better glimpse of the pool house and the deck chairs. This is indeed a nice place to unwind! Because it features a window, it is easy to see what is happening inside while the kids are taking a dip. It also gives us an opportunity to take Instagram-worthy images like the one above. In this picture, you can get a better look at the pool on all its sides. Notice also that one side of the deck used wood which is a good idea. You can also see how the pool landscape is done here. 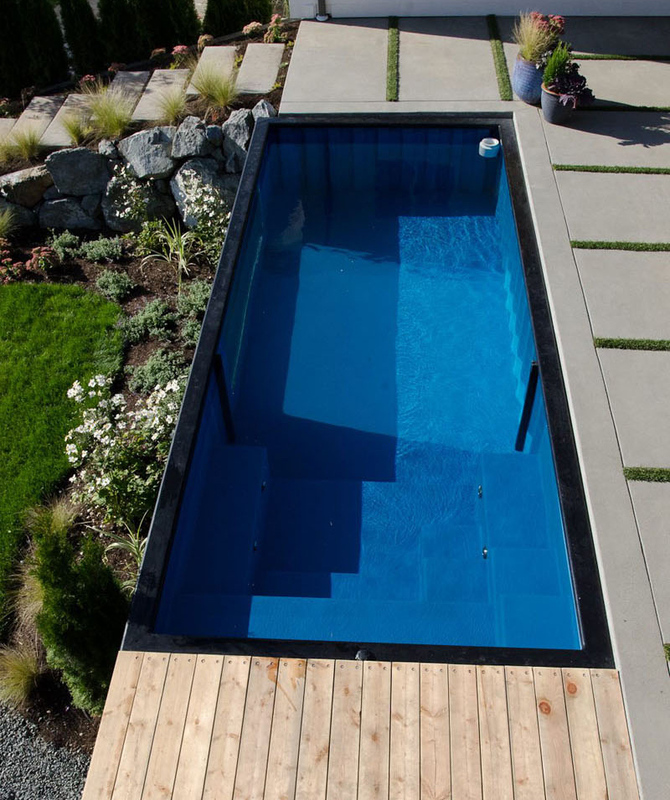 Since it is an above-ground pool, it is elevated from the ground and would require steps in order to get to the top. On one side, you can see concrete steps that are used to access the pool. Take a closer look at the pool and you can see that there are steps inside that leads into the waters. Who says you cannot use the pool when it’s very cold? 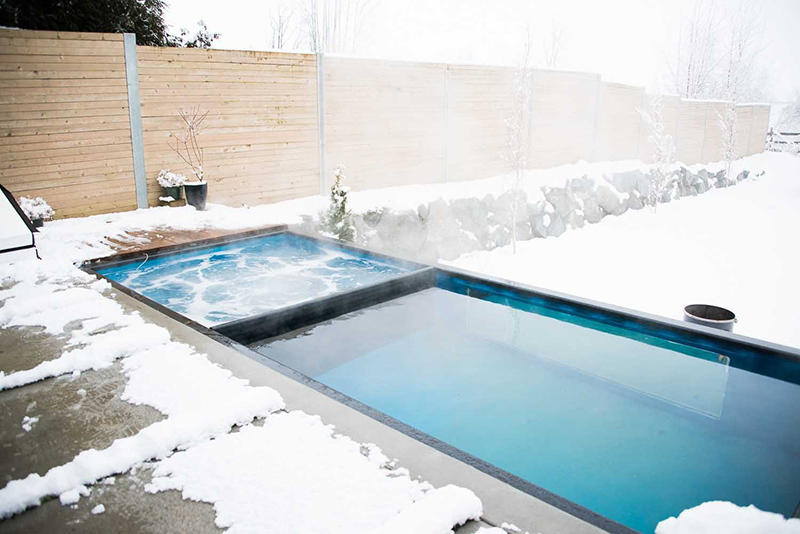 Even during winter, you can still take a swim since the temperature can be changed. You can even insert a divider in order to allocate a portion of the hot tub. This way, you can still enjoy the water even during cold weather. Even if it’s cold, the pool area looks very inviting especially with the smoke that comes from the hot tub. 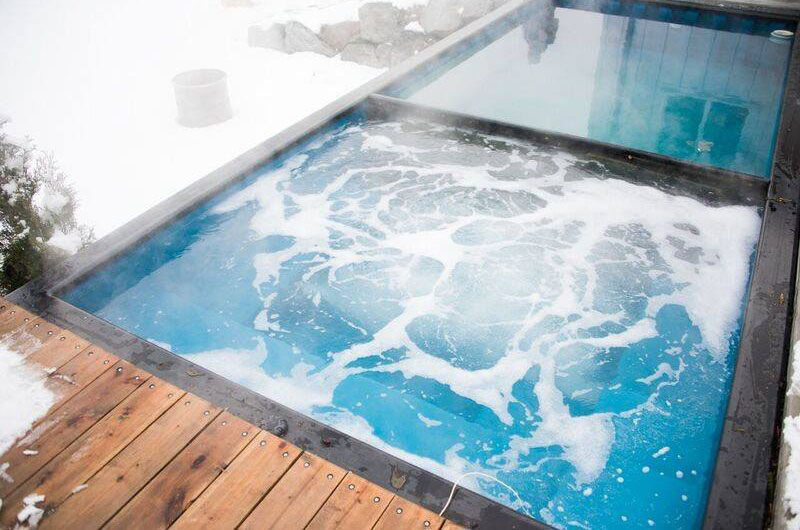 With a hot tub like this, you will definitely feel relaxed despite the cold temperature. The pools have gained popularity worldwide. Seen here is Modpools’ pride during a home show. 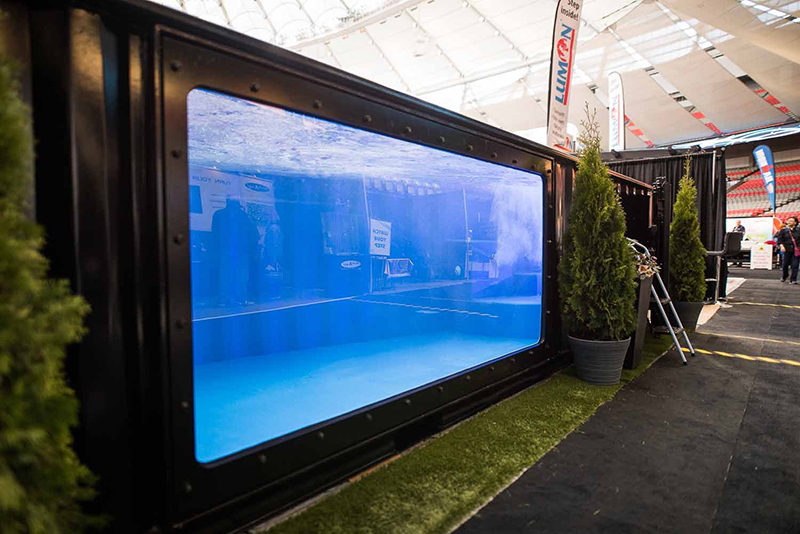 After seeing the images of the shipping container swimming pool, you will no doubt want one! 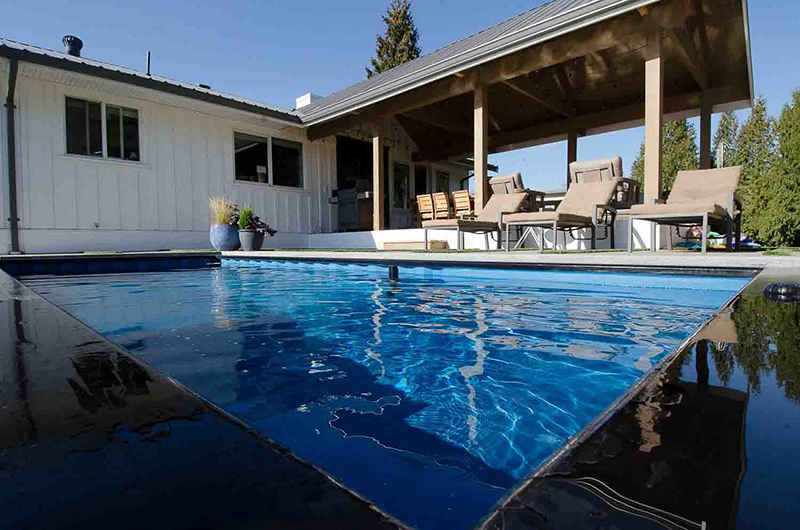 This pool design is an innovation from Modpools. The company is trying to bring the pool of the future into one’s home. Apart from being made from a shipping container, it is also a smart pool wherein one can easily control its temperature jets and lighting from his very own smart phone. Isn’t that cool? You can even add a hot tub too like what you have seen in the above images. What can you say about this pool design? Would you get one for your home? This is my kind of pool. How much for a pool like this? They have 10′ ($9,700) , 20′ ($27,900) and 40′ ($38,900) model.